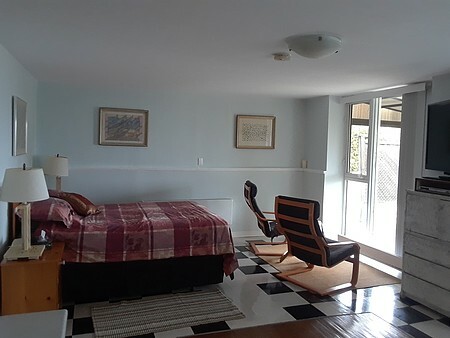 Your private apartment on the Georgian Bay Riviera! 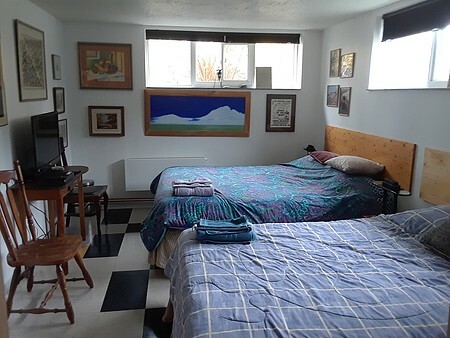 This clean, self-contained apartment is ideal for anyone wishing the hospitality of a B&B, yet enjoy the privacy that we offer. Our B&B features:a suite with 2 rooms, 1 large open-concept room with queen size bed and kitchenette and 1 room with double bed, infrared sauna and flat screen tv. 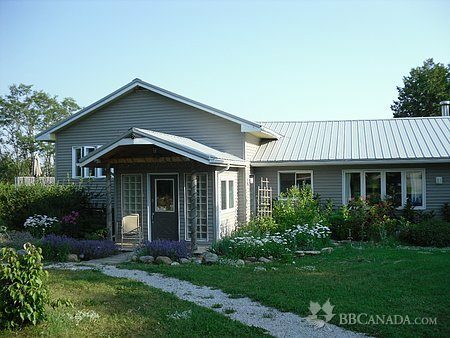 Included is a private washroom with shower, Wi-Fi, satellite T.V., private entrance with key, patio and parking. This is a waterfront property, with Big Bay dock a few doors away. A canoe is available for your use. We also offer Sidecar tour of the area, please call for pricing and detail. Upstairs is a gallery featuring the owner's artworks. We also speak French and Latvian.